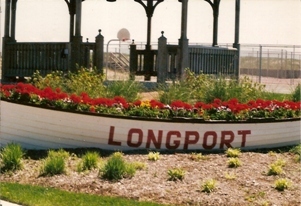 Longport is located on the southern tip of Absecon Island, just north of Ocean City and fifteen minutes south of Atlantic City. It is a quiet residential community ideally situated to allow convenient access to neighboring community activities. There are no commercial motels in the town, but summer residential rentals are available, usually for extended periods.